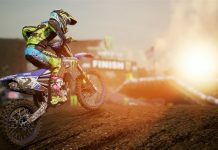 Released last year for PC, PS3 and Xbox 360, MX vs ATV Supercross wasn’t exactly a hit with the critics, receiving a middling 57/100 aggregate score on Metacritic. 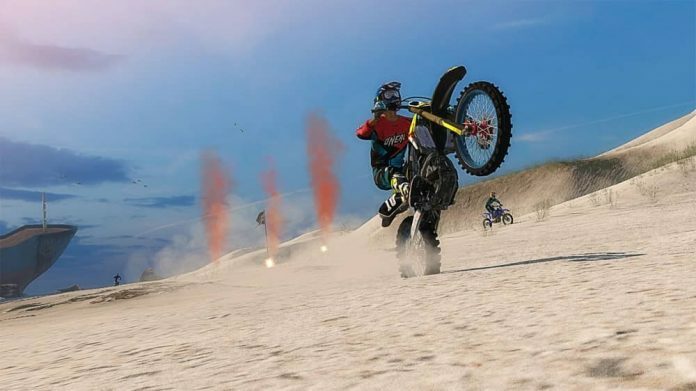 Not to be disheartened by its poor reception, developer Rainbow Studios has been given another chance to build on the title for release on PlayStation 4 in the form of MX vs ATV Supercross Encore Edition. The trouble is, whilst a plethora of new content has been added and the graphics spruced up, the core gameplay issues that existed in the original title remain, which makes this feature packed release largely passable. MX vs ATV Supercross Encore Edition’s major problem is clearly apparent from your very first race – the handling is just awful. 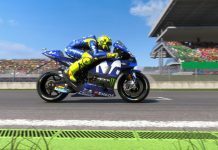 With the left analogue stick used to turn, as per the usual for a racing game, you’ll quickly find when riding a bike that it does very little on its own, and so you’ll need to also use the right analogue stick to control your “Rider Reflex”. Enabling you to make sharp turns with relative ease, as well as manoeuvre your vehicle in mid-air to control your landing, using your Rider Reflex brings issues of its own however, as you’ll quite often end up facing the wrong way or off the track thanks to its erratic and twitchy nature. 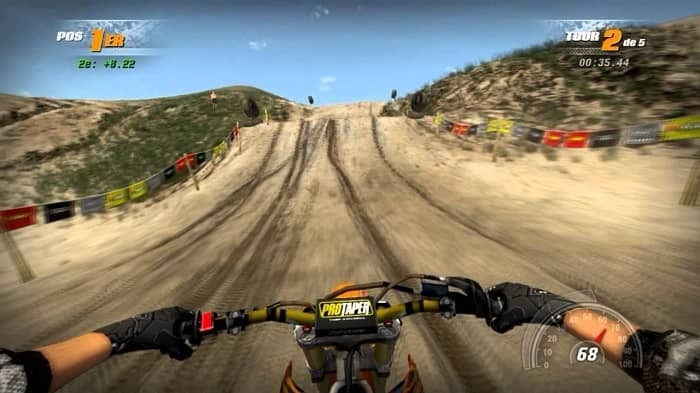 Considering that the Rider Reflex mechanic is imperative to the gameplay – the game relies heavily on your ability to negotiate tight, twisty tracks with frequent jumps and undulations – its unpredictable and unintuitive tendencies create an experience that is both frustrating and unrewarding. Using ATVs can alleviate the issue a little as you seem to have much more control of them with the left stick, but the handling still remains unreliable and the Rider Reflex is still required to control your vehicle in the air. 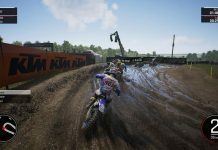 It’s a shame that the handling is so poor, as MX vs ATV Supercross Encore Edition features a wealth of gameplay modes that offer a varied range of event types. You’ve got a single race mode that allows you to take a vehicle of your choice and create an event to your liking on one of the very many tracks available, a career mode that lets you take part in 18 championships either on bikes, ATVS, or a mixture of the two, a fairly solid online match mode that allows you to create events in a similar vein to single race mode but with online competitors, and even a local match mode that allows you to race a friend via split screen from the comfort of your couch. 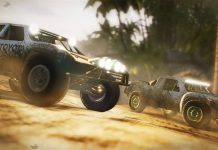 All in all, there are enough gameplay options to keep you playing for a very long time if you can tolerate – or maybe even master – the troublesome handling, although there are other issues too. As mentioned before, there are a number of events types on offer, each offering a different experience. National and Supercross events offer circuit-based racing, both outdoor and indoor respectively, and whilst there’s a large range of tracks available they are all very samey. 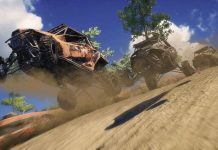 Freeride and Waypoint events on the other hand take place in a variety of open environments that offer a nice change in scenery, but are unfortunately plagued with framerate issues that do not exist in other event types. Finally, Rhythm Racing is a very peculiar event in with you have to race in a straight line on a track full of bumps and jumps, which is about as exciting as it sounds. There’s also a trick system that is usable across all event types that should make proceedings more exciting, accessible by holding down the right shoulder button whilst moving the right analogue stick in various directions, but it’s absolutely pointless as it serves no purpose whatsoever. Additionally, no matter what event type you find yourself in, the graphics are average at best, which makes the poor performance during the Freeride and Waypoint events baffling, whilst the audio can only be summed up as passable. One area where I was fairly impressed with MX vs ATV Supercross Encore Edition is with its vehicle and rider customisation options. Although your choice is very limited at the outset, completing events in the career mode unlocks a wide range of customisation options that enable you to make your rider and vehicle unique to you. 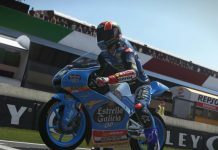 They’re not all just visual either, as you can unlock a myriad of parts for your bikes and ATV’s in order to boost their performance, which comes in very handy as you progress through some of the harder championships in career mode. If you’re a die-hard motocross fan then you may get some enjoyment from MX vs ATV Supercross Encore Edition, but it’s far from a quality game. Whilst it’s commendable that a great deal of content has been added to this remaster and that the graphics have been notably improved, the sheer awkwardness and inconsistency of the handling as well as the fact that everything is just so dull means that it’s a title that most are best to steer clear of. It’s a shame too, as with only one other game of its type currently available on PS4 in the form of Milestone’s equally average MXGP, there’s clearly a gap in the market for a decent motocross racer. For now however, you’re probably best off hoping that Rainbow Studios return with a better title made specifically for the PS4 and Xbox One in the future. 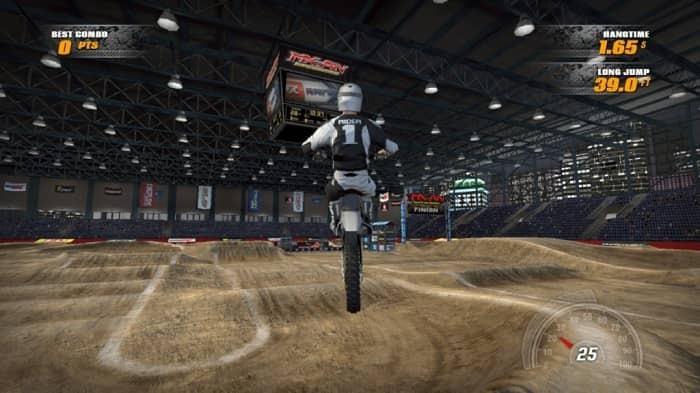 MX vs ATV Supercross Encore is available on PlayStation 4. Next articleAre Blizzard remastering Diablo 2?